The definition of a medical error is a subject of debates. According to Wikipedia: “a medical error occurs when a health-care provider chooses an inappropriate method of care or improperly executes an appropriate method of care”. Despite all medical, philosophic or semantic definitions, intuitively we all know: medical errors occur when health providers did not deliver help on time, did not deliver it at all or did it in a wrong way. My mother was brought to the hospital with the diagnosis of pneumonia. In the evening her temperature reached the mark of 40 degrees. A doctor on duty came and gave my mother a paracetamol injection. There was no effect. The doctor was trying hard to convince me that this is a normal and typical course of pneumonia and that the specialist on this disease would see my mother the following morning. I had to leave the hospital to come back early in the morning. During the night I got a call from a woman who was sharing the room with my mother. She told me that my mother was just “burning out” so that the room neighbor had to call an emergency. After urgent medical examinations my mother was operated immediately with a diagnosis of purulent appendicitis. Without this woman who relied more on her own observations and common sense and thus doubted the initial diagnosis, my mother would not have survived till the next morning. My personal case is unfortunately not exceptional. Over 23% of European Union citizens according to WHO report claim to have been directly affected by medical errors, 18% claim to have experienced a serious medical error in a hospital and 11% to have been prescribed wrong medications. Evidence on medical errors shows that 50.0% to 70.2% of such harm could be prevented . Medical errors affect one in 10 patients worldwide . It is interesting that industries with a perceived higher risk such as aviation and nuclear plants have a much better safety record than health care. According to WHO there is one in 1 000000 chance for a traveler being harmed while in an aircraft. In comparison, there is a one in 300 chance of a patient being harmed during health care procedures  i.e. the latter involve over 3.3 thousand greater personal risks (well over three orders of magnitude). 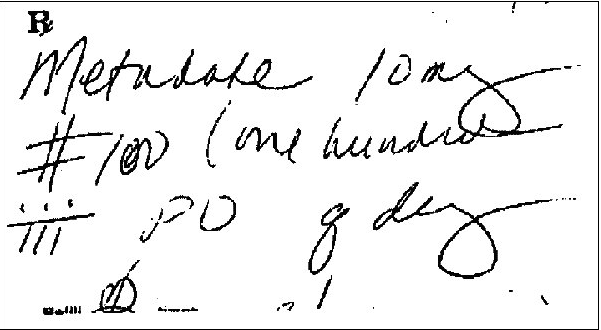 Poor communication between physicians, nurses and patients, improper documentation (e.g., negligence of some of the patients’ symptoms or negative side effects of medical interventions), illegible handwriting, inadequate nurse-to-patient ratios are contributing to the problem. Let us not forget that doctors are also humans: they could be distracted, tired, not that well experienced or properly skilled (especially in specific cases that are countless in such a complex system as a human organism). Not all engineers are leaving colleges with the best grades, why do we reckon that all doctors were good students? What can we as patients do about medical errors? There are 4 rules I worked for myself. Rule #1: Ongoing health and medical education is now your almost daily activity. You do not know how long you or your close relatives have to stay in the hospital and what will happen after. It may turn out that you have to struggle with the disease for many years. There is plenty of information you can find over the Internet today, but it is always good to address professional health resources. 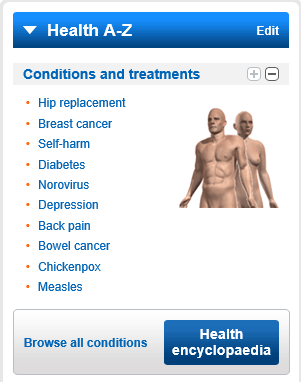 I personally quite often use mobile application Health Choices designed by the National Health Services UK (NHS), although I am not a UK based. You can find in this source quite comprehensive information on more than 750 conditions and treatments delivered to your smart phone. There is a similar system in the US developed by the US Center of Disease Control and prevention (CDC). The CDC application provides a mobile public 24/7 access to important health information as regards various chronic diseases, new treatments and research in medicine and healthcare – through scientific articles, popular journals and social media dealing with important health concerns and events throughout the year. Though I am not a US citizen I have still downloaded the CDC mobile application from the Microsoft store and find it quite useful. Both Health Choices and CDC applications are available on Microsoft appstore. I believe one can find similar online services almost in every European country or simply start with Wikipedia. Rule#2: Go for the second opinion. One mind is good, but two are better. It is important to have trustworthy relationships with your doctor, but trust should not substitute knowledge. To find a specialist with the profile you need is not an easy task. Normally, the first thing we do is turning to somebody you know. There are, however, some technologies that can help. The mentioned above Health Choices allows the UK citizens to look for a specialist nearby and rate the quality of services they have received. Spanish mobile application, MedCitas, though initially designed as patients’ appointment system, gives a chance to search for professional medical skills and experience required for a particular case. Though local databases (DB) are always richer and easier to access if you are in the same country, there is an attempt to create an international DB. European people travel a lot, and if you happen to land in a hospital abroad it is good to get some background on physicians and available services. Doctoralia is a mobile application where you can search for physicians and medical centers in various countries and get some background on the scope of services they offer. You can even book an appointment if you have found the right specialist. You can also compare the doctors’ background and look how she/he was assessed by the former patients. If you or your closed one is already in the hospital, it is quite important to have a comprehensive view on the overall conditions of your or your relative’s health. Note that the contemporary mainstream medicine is built on dissecting the entire human body into diseases that can be grouped to form a medical specialty. Each medical professional is focused on repairing a certain part of the body without paying much attention to the integral body status. Such an approach inevitably leads to more and more radical interventions which we, patients, would like to avoid. Ask for the results of a medical consilium. Normally, hospitals are not eager to set up consilums for the sake of costs savings, but in more complicated cases they go for it. Certain advanced clinics (there is a good example in Germany set by Asclepius private chain of hospitals) the “second opinion” process is automated. A patient is invited to a “virtual consilium” with several specialists giving their expert opinion through integrated audio and video systems. Such systems are quite common nowadays. They could be set on Skype, Microsoft Lync or similar systems. Rule #3: Do not ignore social networks. No matter how unique or complicated your situation might be, how deep and personal is your pain, you are not alone with it. There are many people like you who have struggled through similar experiences. And when there are thousands and millions, it is already a statistics you may at least consider. 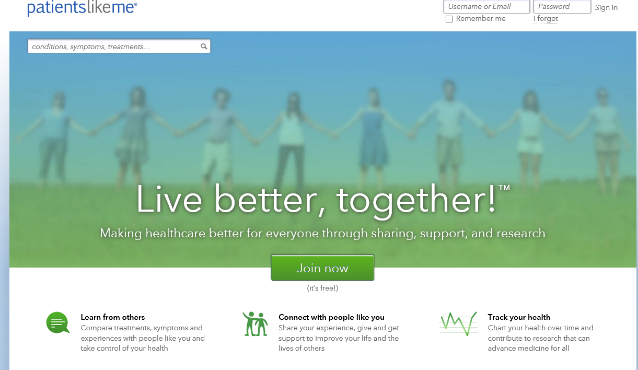 Quite accidentally, I recently came across PatientsLikeMe Website. With PatientsLikeMe you can post your profile (or just indicate your areas of interest) and check if there are people who have similar concerns. This tool contains quite a substantial overview of medications and treatment mapped to various diseases verified by a large group of patients. You can also address your problem through the discussion forum and receive an advice from a specialist or a patient like you. Of course there are always heated discussions related to security and privacy, but in this case you yourself is “the master of ceremony”: you are not obliged to disclose what you do not want to. Rule #4: Do not silence medical error when you witness it. To report on medical errors is painful and difficult. Not often doctors are open to admit the very fact of a mistake that has damaged a patient’s health. Recently I talked to my neighbor whose brother died as the result of a cardio surgery. What initially seemed like a simple check up on the status of a bypass, turned into an infection that killed this patient. Relatives decided not to report. Typical reaction: what can we do now? Nothing could be changed. But think about others and, who knows, maybe about yourself. We do not want revenge and punishments here. Many medical errors are happening not in isolation, but often as a result of smaller errors that went unnoticed. There are usually several layers of protection and guidance in each hospital to identify an error before it damages a patient. If we as patients do not report on medical errors these layers of the patient safety will be thinner and thinner. Each hospital has a journal where it registers the level of patients’ satisfaction. For some hospitals, it is the essential part of their key performance indicators (KPI) captured by the hospital information system (HIS). Do not be afraid or forgetful to give your feedback to the level of services you have received in the hospital to protect yourself and your beloved ones. In case you feel your complains are going nowhere – share it with the community, use social networks! WHO 10 factors to effect medical errors. One of my friends, quite a successful cardiologist once told me: “I can perform very complex operations successfully, but the good result is likely to be killed by the poor care.” Professional care is absolutely critical for patient recovery process. But it is not unique when patients have to wait for quite a while till the nurse comes to their bed side. 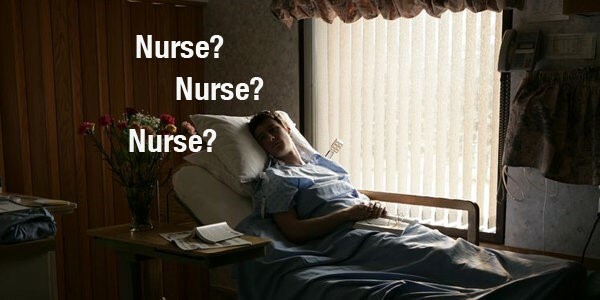 The reason is simple: there is not enough nurses in hospitals nowadays even in the developed countries. The National Healthcare System UK (NHS) is likely to have 47,500 fewer nurses than needed by 2016 . The World Health Organization estimates globally a shortage of almost 4.3 million nurses, physicians and other health human resources worldwide as the result of unsatisfied working environment. The reasons that nurses are abandoning their jobs together with patients who need them mostly are mainly not financial. Fatigue, overload and related constant stress as well as often poor communication with physicians leading to conflicting situations are often named as one of the main reasons why nurses are abandoning their profession. This raises the question of efficiency of the whole care process. For example: how much time a nurse spends on patient care vs. routine administrative functions? I remember the scene in one of the well-known hospitals in Munich, Germany at about 23 -24 pm. The corridor resembled a classroom with about a dozen tables, each occupied by a nurse diligently copying patient data into the medical journal. Medical tests, medications prescribed, what was eaten and what was not, glasses of liquid stuff drank and urinated, etc. If a patient at that busy time would call a nurse, the response would be slow, unless the call comes from the patient bathroom, which often indicates an accident. Lack of appreciation and often conflicting communication with doctors is another source for nurses’ dissatisfaction. Once I heard a nurse noticing sarcastically: “They (doctors) don’t even talk to us, but we are the ones who stay with patients day and night, and know them much better.” Nurses do not feel that they are part of the team. It is not a secret that some hospitals in order to cut costs are replacing a professional registered nurse with a less skilled students. Could new technologies reduce the burden of routine daily work that nurse have to perform? Could IT help to create a better collaborative environment among all professional healthcare personal , make them understand that they all depend on each other, could learn (not only be punished) from mistakes? If so, it may finally result in a spiral of trust and, as a consequence, a better patient care. The applications are coming out. Med eTraX, the UK company came up with patient/nursing observations recording system, which allows clinical staff to record a patients physiological signs rapidly and with ease at the patient’s bedside. Designed with Windows 8 technology, the software records and alerts changes of a patient’s condition, ensuring that the appropriate staff are immediately notified. Any deterioration in a patient’s well-being does not go unnoticed or fails actions. Furthermore, the solution is adaptable for using patients’ own homes, providing an enhanced and proactive element of “healthcare at a distance”, which by default dramatically impacts and reduces not only the current cost of care, but time and fatigue related to travels. With Belgium Electronic Nursing Record (ENR) solution Phebus designed by a company Calidos with Windows 8 Metro style interface, Nurses can easily input information on patient’s vital signs or prescribed medications. The collected data go into the patient’s medical record available to the doctor in charge. All changes in the therapy plan are visible to the nurse immediately. Physician and nurse can working as one team now. Moving patients from hospitals to homecare not only saves hospitals a lot of money, but offers a comfortable environment which stimulates the recovery. But for a nurse to check up patient’ conditions manually during home visits, than travel back to the hospital to input data into Electronic Medical Record, could be a cumbersome process. Quite often home health workers have to make repeated trips to/from the central hospital to retrieve and update patient data. To avoid such a hassle Hospitalisation à Domicile (HAD), part of the APHP (Assistance Publique – Hôpitaux de Paris), the public authority responsible for hospitals within the Paris region in France introduced a home care system for nurses. Using the application developed by Avanade, nurses can upload patient data from the hospital DB to a mobile tablet device with Windows 8 OS and update the medical records during patients’ home visits. For example, if a patient is prescribed a new medication by his or her general practitioner or is getting some negative side effects during the treatment this information could be captured at the home bedside and synchronized with the hospital medical record. In urgent cases, a nurse can exchange messages with the hospital medical stuff. Can IT change a culture of mistrust and lack of confidence in Healthcare as well as optimize care processes? If so nurses could be catalyzers of this cultural change. They are nearly the most advanced and experienced people in IT among the professional Healthcare staff. A total of 77% nurses indicated they work on “clinical documentation,” including Electronic Health Record, 60% dealing with computerized physician order entry system . IT vendors should support nurses with applications as well as training programs to enhance their status in professional healthcare teams. That will help creating a better multi care environment. Let us hope that the current patients will be able to witness the progress.